In many schools in Rhode Island, a student will wait in line to fill their tray at lunch, only to reach the register and be told they don't have the funds for their meal. What happens next is that their hot food is taken away, thrown in the trash, and replaced with a cold substitute in front of their peers. 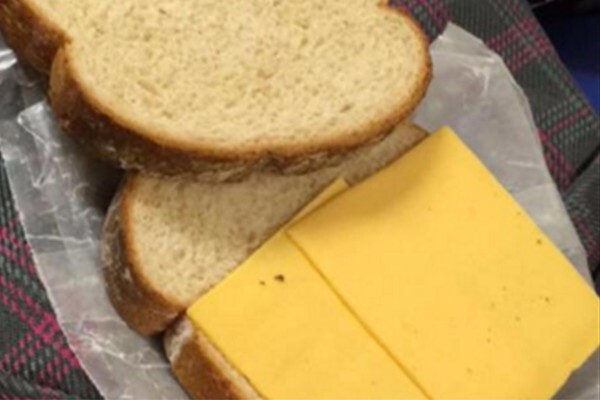 In many schools, what passes as an adequate substitute is a cold sandwich comprised of bread and cheese. Embarrassing children is not the way to deal with a school lunch account that is in arrears. This week in New Mexico, school lunch shaming was made illegal. Many of Rhode Island's urban communities and public schools are comprised of low-income citizens and students who qualify for free or reduced lunch. Some students have parents who can't read paperwork sent home in English, and with adult illiteracy at staggering numbers in these communities, it's probable that often the paperwork isn't read at all. Without the proper assistance or someone in the school system to follow through with the families of these children, many of them don't realize that they qualify and have fallen through the cracks. Our goal is to work with Title 1 schools in Rhode Island, school committees, the districts, and the companies (Aramark & Sodexo) that provide food for the lunch programs to reduce school lunch debt in our communities and end school lunch shaming for our children. We are beginning our fundraising for the Elizabeth Baldwin School in Pawtucket, RI. Baldwin's debt makes up $5,983.83 of Pawtucket Schools' over $38,000 school lunch defecit. Eta: The beneficiary for this account is Adria Marchetti. She has been chosen as de facto leader of our campaign, and both our donors and the school system have been notified that she will be processing all checks. Thanks!! 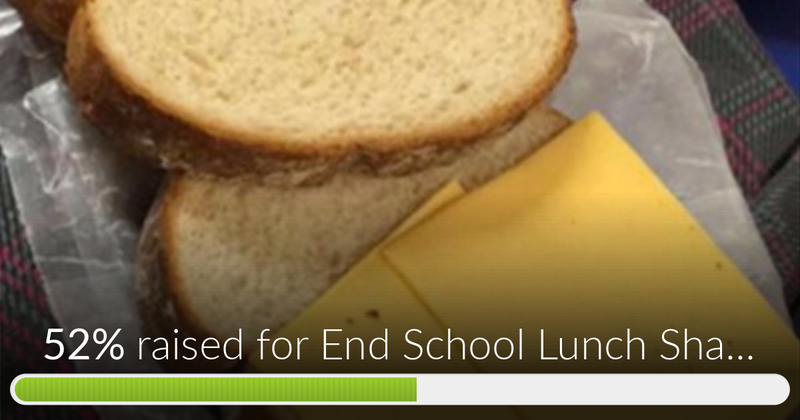 End School Lunch Shaming in RI has reached 52% of its goal. Thanks to everyone who is sharing, donating, and helping raise awareness to this issue. A special thanks to Jay and Billie Wilbur, who not only donated generously but helped our campaign raise even more by sharing our GoFundMe. Please check out our page on Facebook, "End School Lunch Shaming RI" for up to date information on what we are doing in Pawtucket and further plans to connect with the community and work on getting this policy out of all schools in Rhode Island. Get involved. Thank you. In two weeks, we have reached over $1400 in donations and helped bring awareness about the issue of lunch shaming across the state- and further! Thank you so much to everyone who donated, shared, and supported our efforts. We can't wait to see how far we come in the next two weeks! Thank you all for your donations! As you may already know, PSD has changed the lunch policy and is providing free lunch to all Baldwin Elementary and Cunningham Elementary students this year! They have also decided to wipe the school lunch debt for the past few years and pay it off. Which means we are looking for an organization providing food services to the same population of kids that experience food insecurity on a regular basis. We are in the process of finding an organization or group providing weekend food backpacks or holiday food baskets. Stay tuned for more information. Best wishes for the families of Pawtucket. I challenged my friends for $10 - the price of a Starbucks or for my wine drinking friends. Now I'm going to embarrass them - time to fork over $10. If I can do it, you can do it !!! Children must be fed and eat to be primed to LEARN! Doing something about this other then complaining.